Here are four tips to get you started on growth hacking your B2B company or startup. Nothing will generate leads quite like relevant content that users find valuable. It’s not much about getting people to share the content which really helps. It’s more important the person themselves, because they took the initial step to read about your work which means they are waiting to make a decision. That piece of content is the difference between working with you or a competitor. These types of content include e-books, whitepapers, webinars, Slideshare decks and case studies. If you have any experience with these, you’ll see why they’re so valuable. Your goal with this is to educate your audience and provide a reason for them to take an action. If you need inspiration on what content to write you can use a tool to find your competitors best-engaged content. This is the foundation of the growth hacking. : Do research to find the best ways to invest your time and resources. Starting with a sample size is great and building feedback to scale. Have you ever thought about offering a free trial of your product/service? Even if you don’t have an online platform, you can offer a tour or free consultation to get clients into the rhythm. The biggest obstacle to an effective campaign is creating a barrier to entry for clients. Remember that they are operating about product/service through a lense and there is no communication with you until they want to. One of the biggest obstacles to effective growth hacking is when a product/service has a high barrier to entry. Essentially, the more time, energy and resources it takes someone to test your product out, the more likely they are to just stick with their status quo. The “try before you buy,” or “freemium,” model represents a great way to lower that barrier and get people to try out what you have to offer. When putting together your free free-model service, try 2 different models that tend to work well. One of them is the tiered service that lets your users upgrade from each plan. This gives the clients a chance to grow into your company and actually keeps them increase profit. When approaching this model think about the value you are bringing to clients. Is what you are providing essential in their day-to-day operations or marketing. If you are offering a CRM, analytics, operations, invoicing – these are things that work well with tiered pricing because it is almost needed for every business. The other way is offering a free month of your service with no catches. Let the user fully experience what you have to offer so they can understand what makes you special. One company we saw do this really well is pipedrive – they let users test out their CRM platform for a month with no charges. Then they focused on providing a simple UX and a low fee ongoing per user. This natural free-month model gave users the freedom to test their service and once they signed up they saw a 40% retention over 12 months. Growth hacking ideas and strategies can be just as effective in the B2B world as they are in a B2C industry. Haven’t you thought? That the most important thing to getting someone to take an action is their user behavior and how that is effected on your website, especially if you are SAAS. Growth hacking is meant to make you grow but if your UX/UI isn’t done properly why would they want to. Growth hacking is, in large part, about lowering the barriers to entry. If a product is too hard to use, people will stick with what they know. Knowing this, it’s important to make your product or service so easy to use that even non-technical users can get started. This is critical in an age where business stakeholders themselves are seeking tools they can adopt without needing an army of tech people around them. Let’s say you have a product/service that users can implement These users might have a bit of technical knowledge, but not enough to make that decision on their own with a professional developer. In this case, you’ll want to make what you offer easy enough that you can integrate it without having to get to the IT team or other developers to sign off. For example AWS – It serves a major issue by offering enterprise solutions to startups without requiring a separate IT or developer to set up servers. A strong focus on UX/UI is critical, from the time a potential lead hits your website to the time when he or she makes a purchase. When something is easy to use, it’s going to be easy to share, so be sure to invest considerable resources in creating an intuitive experience. 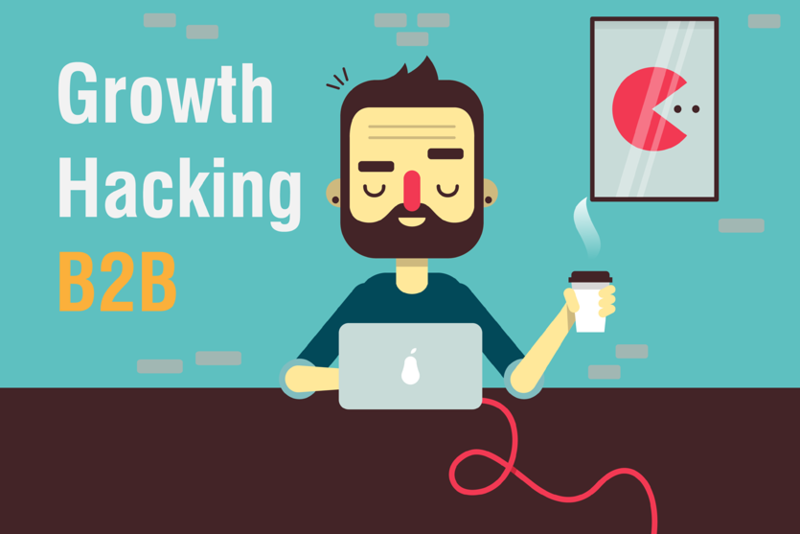 0 Comments on "4 Tips to Immediately Growth Hack Your B2B Company"